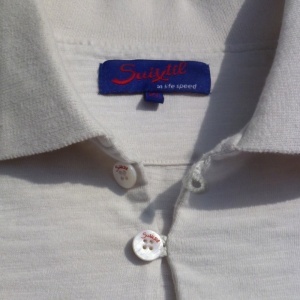 Ideal for the summer season the Suixtil Rio Polo is made from 100% slub yarn cotton with engraved mother of pearl looped buttons and red logo embroidery. Suixtil grew into a well-known brand in Argentina in the 1940s and ‘50s, based on its high quality gentlemen's suits and its constant involvement in international car racing, a sport then as now full of heroism and glory that gave the brand its renown and cachet. 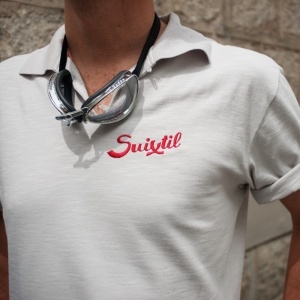 The national racing team was known as Escuderia Suixtil as a result of Suixtil's sponsorship of the team. 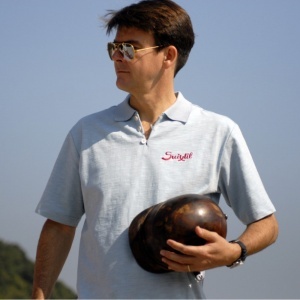 The Rio Polo shirt is based on original designs worn by the racing drivers of the 50's and 60's including Sir Stirling Moss and Fangio. L Collar 17" Chest 43"
XL Collar 173/4 " Chest 46"